Welcome to Jiang Research Group! 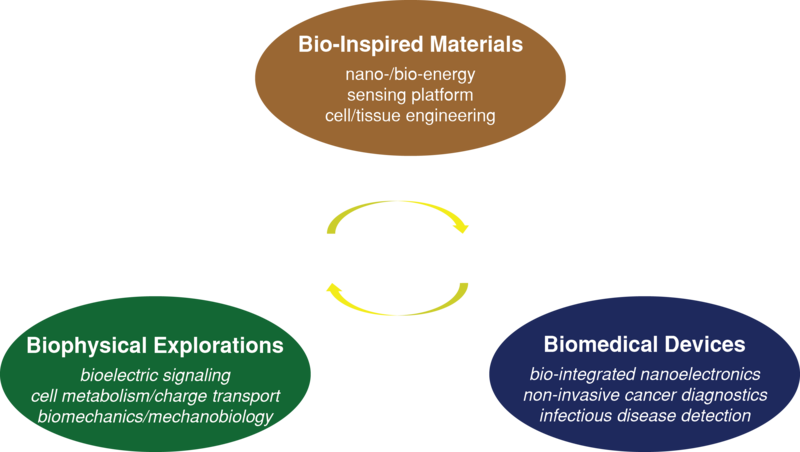 Our group is interested in exploring the unique physics and chemistry at the interface between living and artificial systems, with specific emphasis on: (1) developing small-scale platforms that can seamlessly integrate with cells/tissues for probing, interrogating and directing biologically significant processes; (2) pursuing bio-derived materials and bio-inspired approaches for a wide range of engineering applications such as energy harvest/storage, chemical sensing, and water treatment. “Hydrogel-gate graphene field-effect transistors as multiplexed biosensors”, Nano Lett., 19, 2620 (2019). “Nanostructured interfaces for probing and facilitating extracellular electron transfer”, J. Mater. Chem. B, 6, 7144 (2018). “Core/Shell Bacterial Cables: A One-Dimensional Platform for Probing Microbial Electron Transfer”, Nano Lett. 18, 4606 (2018). “The ins and outs of microbial-electrode electron transfer reactions”, Nature Rev. Chem. 1, 0024 (2017). “Microfluidic isolation of platelet-covered circulating tumor cells”, Lab Chip, 17, 3498 (2017). 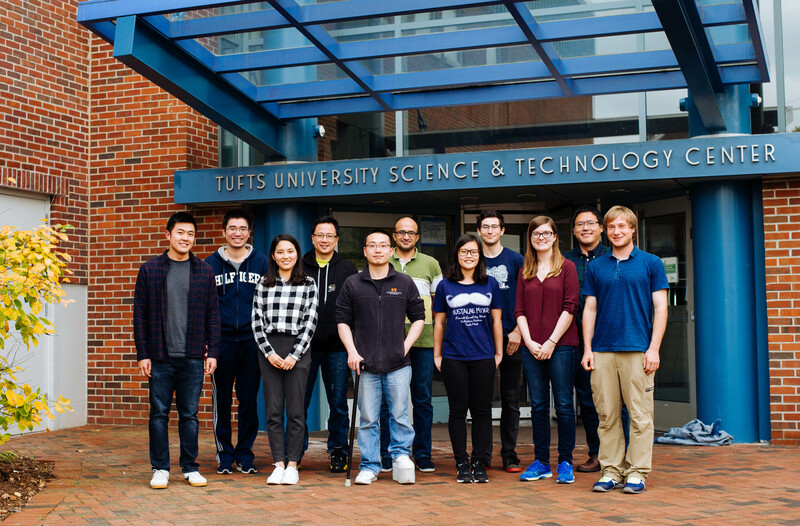 3/27/2019 – The group receives a DURIP grant to procure an integrated electron-fluoresence microscopic system. Many thanks to AFOSR for the support! 9/1/2018 – The group receives an NSF grant to support collaborative work with Omenetto group on hybrid field-effect transistors. Many thanks for the support from NSF! 4/24/2018 – Congratulations to Han, who won the Best Poster Award at 2018 CBMS Microfluidic for Hematology Conference! 10/11/2017 – The group receives AFOSR Young Investigator Award. Many thanks for the support from AFOSR!